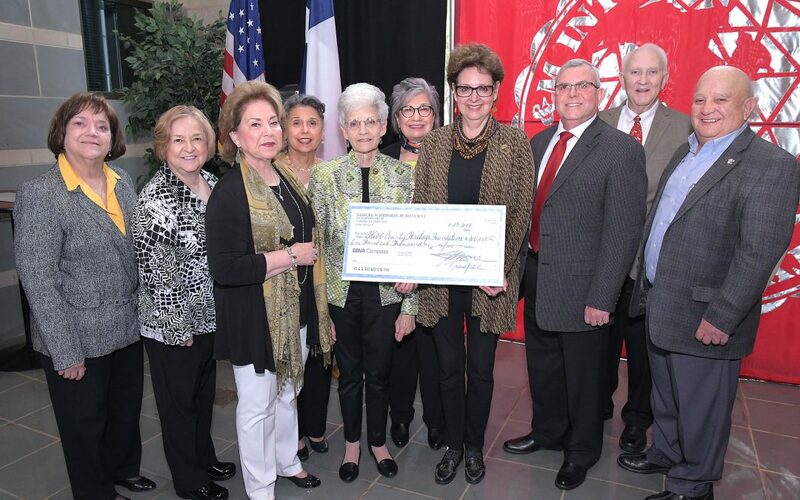 The Webb County Heritage Foundation was one of five non-profit organizations to receive a gift of $100,000 from the Sam N. Johnson, Jr. Charitable Remainder Trust on March 20th. Sammy Johnson and his sister, Betsy Gill were beloved mentors and benefactors to the cause of local historic preservation. WCHF Board members left to right: Ana Flores, Amparo Compton, Board President Judith Gutierrez, Sara Mendoza, Susan Walker, Rebecca Sepúlveda, Executive Director Margarita Araiza, Arturo Dominguez, Sam Johnson Trustee Jim Moore, and Roberto Vela.